The Brass Tap, a trailblazer of the upscale craft beer bar and entertainment concept, is kicking up its competitive game with plans to add liquor to the brand’s craft lineup. The emerging franchise, which offers 60 craft beer selections, majority local, on tap, and over 100 additional bottled selections from around the globe, is set to test serving up authentically aged oak barrel bourbon cocktails on tap. Nearing their 50th neighborhood craft beer bar across 22 states, the expansion into handcrafted spirits will take The Brass Tap to the next level as the brand steps up expansion through nationwide franchising. 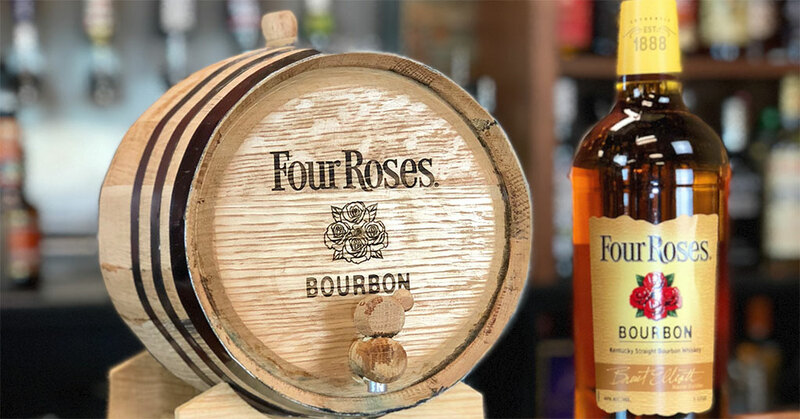 The Brass Tap will launch the craft bourbon program in March at the brand’s corporate location in Tampa, Florida, followed by a full rollout to franchisees, in coordination with the bourbon distillery Four Roses. The strategy is a natural fit for Tampa-based The Brass Tap that is redefining the craft beer bar franchise concept. Time is what craft spirits are all about—giving a cocktail the necessary time for all its parts to co-mingle and meld together, says Salgado. The authentic bourbon, will be aged in first use New American Oak barrels, then served straight from the tap, he says. Fueled by a mission to “To create the ultimate craft beer centric entertainment experience,” The Brass Tap’s venture into craft bourbon will also bolster the brand’s focus on creating a local, neighborhood feel at each location, where a region’s best offerings are under one roof. As part of this winning formula, The Brass Tap is also brewing up new ways to highlight the craft beer bar as a place for entertainment. The franchise is testing the addition of rotating games, such as pinball machines, board games and darts, as another way to enhance the overall atmosphere for guests. With plans to open eight new franchised locations in the first quarter of 2018, The Brass Tap is innovatively seizing the burgeoning momentum of the craft movement to grow. Craft beer sales have increased more than 10 percent from 2015, consuming a 21.9 percent share of the estimated $107.6 billion overall U.S. beer industry, according to the Brewers Association, the national organization that represents the small and independent craft brewers in America. The craft bourbon program is designed to be fully scalable at each taproom that has a full liquor license. The barrels can be used for aging a variety of other spirits and cocktails, including gin, tequila, mezcal, scotch, even wine,” Salgado says.